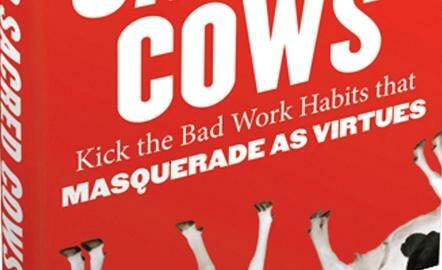 Leigh Buchanan, a contributor to Inc. Magazine, wrote a review for the book: Tipping Sacred Cows: Kick the Bad Work Habits That Masquerade as Virtues, by Jake Breeden. Breeden is on the faculty of Duke University’s executive education program and consults for corporations including Google and IBM. To read the review, click here. Tags: Bad Leaders, Good Leaders, Inc. Magazine, Jake Breeden, Kick the Bad Work Habits That Masquerade as Virtues, Leigh Buchanan, Tipping Sacred Cows. Bookmark the permalink.